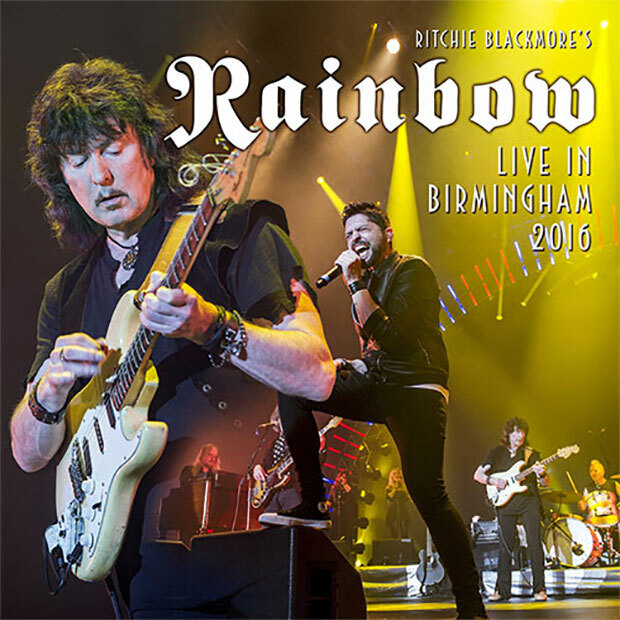 In June 2016, legendary guitarist Ritchie Blackmore made his much-anticipated return to rock music as Ritchie Blackmore’s Rainbow. Delivering three powerhouse concerts in Europe, two in Germany and one in England, Blackmore yet again proved why he is a pivotal figure of rock and roll. On June 9th, Eagle Rock Entertainment will issue the Live In Birmingham 2016 on 2 CD and digital audio — the first release of the audio from the 2016 British show. Packed with a set list combining classic tracks from both Deep Purple and Rainbow, the 2 CD boasts “Catch The Rainbow”, “Mistreated”, “Since You Been Gone”, “Long Live Rock ‘n’ Roll”, “Black Night”, “Spotlight Kid”, “Smoke On The Water”, “Stargazer”, “Perfect Strangers”, and more! The two German shows at Loreley and Bietigheim were caught on camera to produce the concert film Memories In Rock, which was released by Eagle Vision and Eagle Records in November 2016. This new 2 CD set captures the full audio from the British show at the Genting Arena at the NEC, Birmingham, including performances of “Soldier Of Fortune” and “Burn” from the Mark III Deep Purple era that weren’t in the German shows. The line-up for the Birmingham show featured Ritchie Blackmore (guitar); Ronnie Romero (vocals); David Keith (drums); Bob Nouveau (bass); Jens Johanssen (keyboards); Candice Night (backing vocals) and Lady Lynn (backing vocals). A true celebration of Ritchie Blackmore’s career and legacy, Live In Birmingham 2016 excellently captures an astounding night of music.